I’m Ed Smith, a Grass Valley car accident and personal injury lawyer and the founder of this website, AutoAccident.com. I’ve been proudly representing the residents of Grass Valley and nearby areas with their personal injury and wrongful death cases since 1982. Whether you are a resident who was injured in town or while commuting to Auburn or Sacramento, I can help answer your questions about your car, truck, bus, or motorcycle accident. I’m known to many as the “personal” personal injury lawyer. This is because I always put the well-being of my clients first and make running a compassionate personal injury law office my priority. I know first-hand how difficult, both physically and emotionally, it can be to suffer a serious injury because I have also been injured multiple times. Those who I’ve had the pleasure of working with know that I always take my clients’ needs, wants, hopes, and personal feelings into account when handling their case. Sadly, I am also well aware of the overwhelming feelings of grief caused by losing a loved one in an accident. The unexpected death of a parent, sibling, spouse, partner, or another family member often leaves people feeling a wide range of emotions. These can make dealing with daily life feel exhausting. Knowing that your loved one's death was caused by the fault of a negligent party can make these feelings even more intense. This is why it is important to me to help my clients recover both emotionally and financially after they’ve suffered such a tragic loss. Car wrecks in Grass Valley occur for a wide variety of reasons. 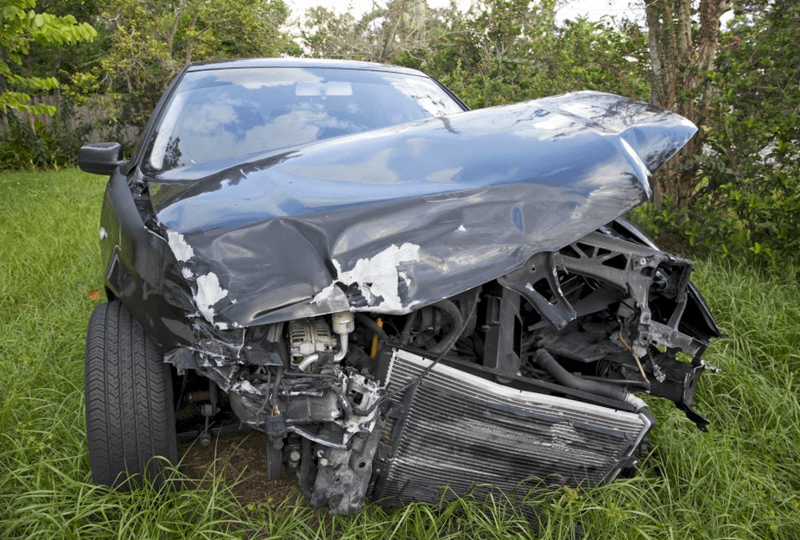 These include road defects, drunk drivers, speeding, distracted drivers, and other forms of negligence. Accidents in this area often occur along Main Street, at intersections, rural roads, and on Highway 20. Collisions also occur on California State Route 49. From Grass Valley to Nevada City, SR 49 is known as the Golden Chain Highway or Golden Center Freeway for locals. The name speaks to its history as the main highway to towns linked along the famous Mother Lode gold mining area. This highway received its designation in honor of the 49ers, the group of pioneers that traveled to the Sutter's Fort area of the Sierra Nevada and Central Valley during the gold rush in 1849. In this strip of Highway 49, there are dangerous curves for drivers to maneuver. Fatal head-on collisions also occur along this highway when vehicles cross into the oncoming traffic lanes. Many of these fatalities could easily be prevented with barriers and center dividers. However, Caltrans has yet to install these despite the requests of several local residents and injured individuals. Other auto accidents occur in the snow, especially during the first snowfall of the year. Drivers new to the area may not be used to driving on slick roads and cause collisions. While some may make simple driving errors, others may engage in negligent driving behaviors such as speeding or following too closely regardless of current weather and road conditions. Why Would I Hire an Injury Lawyer Based in Sacramento? You very well may be wondering why it would make sense for you to hire an attorney who lives an hour away from you. While it may seem more convenient to look for an injury attorney closer to home, there are a few important reasons that hiring a Sacramento-based lawyer can make more sense. Many quality law firms in smaller populated areas have had to relocate to areas with larger client bases. This means that in relatively small communities like Grass Valley, it can be very difficult to find the first-rate representation you deserve. If you suffered major trauma in an auto accident, it is important to retain a lawyer whose focus is solely on serious injuries. Our firm only takes cases involving severe trauma and we are very selective about which we decide to take. Many people who’ve been seriously injured are worried that they can’t afford an attorney to represent them. I believe that nobody should be denied fair compensation for their losses due to a lack of funds. This is why I take serious injury cases on a contingency fee basis, meaning that I don’t ask for any payment unless I can successfully resolve your case. When it comes to choosing a good lawyer, people often feel lost among the hundreds of magazine and internet ads, television commercials, billboards, and other advertisements. Many of the ads you see will make huge promises, but how can you know for sure if an injury lawyer is really prepared to do everything possible in order to help you get the amount you deserve? Lawyers often advertise a high rate of success but are willing to settle for offers less than what their client is rightfully owed. Experience: It is important to know that your lawyer has plenty of experience handling cases like yours. You should make sure that your lawyer has years of experience in personal injury law and that they focus solely on serious injury cases. Furthermore, your lawyer should have experience in taking cases to trial. Many times, simply asking an injury lawyer whether or not they would be comfortable presenting your case to a jury can give you a good idea of whether or not your attorney is truly ready to do everything they can to help you. Case History: Another important thing to do before hiring a lawyer is to learn about their settlement and verdict history. Feel free to ask any potential lawyer about their previous case verdicts and settlements and how much their clients were awarded. A good lawyer will be happy to share their past successes with you. It’s also a good idea to take a look at a lawyer’s website to see if they have a verdicts and settlements page. You can get an idea of what one should look like by viewing mine here. Reputation: Checking to see if your lawyer has a good reputation from their clients and community is a step in the right direction. This can be done by looking at their reviews on popular websites such as Facebook, Yelp, and Google. Another good website to use is Avvo.com, a website dedicated to reviewing lawyers. Since the reviews left on these sites are not controlled by the attorney, they can give you an honest account of a lawyer’s reputation. Resources: You should be sure that your lawyer has the financial resources to properly handle your case. Some firms are too small to give a case the attention it needs and may not be able to afford to take it before a jury. Finances shouldn’t be the issue that stands between you and the compensation you deserve. I'm Ed Smith, a Grass Valley car accident and personal injury lawyer. If you or a loved one has been injured in Grass Valley, Nevada City, or anywhere else in Nevada County, please feel free to contact me today for free, friendly legal advice by calling (530) 392-9400 or toll-free at (800) 404-5400. If you’d like to learn more about how I’ve helped my clients, take a look at my reviews on Yelp, Avvo, and Google. I’m part of the Million Dollar Advocates, a national forum for attorneys who’ve won a case or negotiated a settlement worth at least $1 million for a past client. I am also a member of both the Brain Injury Association of California and the Capital City Trial Lawyers Association. You can read about my past successes on my verdicts and settlements page. Grass Valley FAQsDo you know a good auto shop in Grass Valley? Is there a quality chiropractor I can see in Grass Valley?